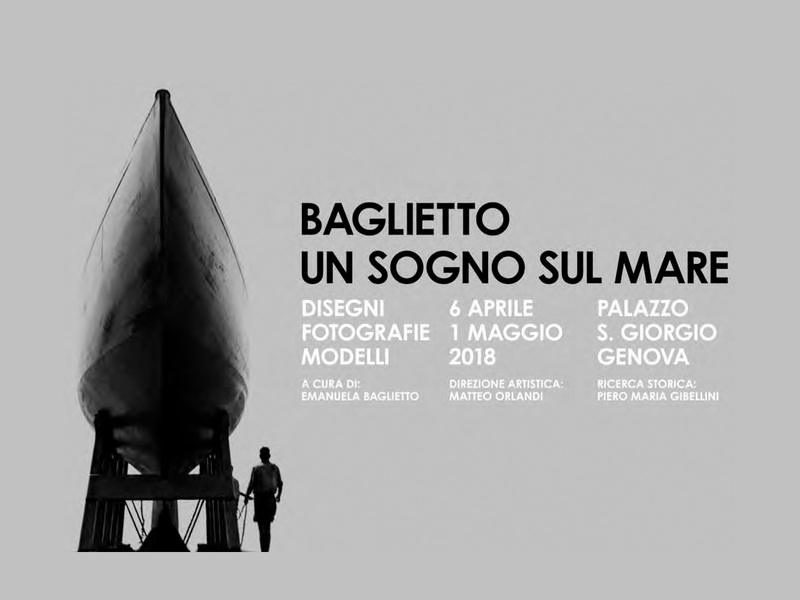 "Baglietto - A dream on the sea "
The exhibition "Baglietto - A dream on the sea 1854 -1983" by Emanuela Baglietto will be inaugurated on 7th April at the historic Palazzo San Giorgio in Genoa. The exhibition, curated under Matteo Orlandi’s artistic direction and based on the research undertaken by Emanuela Baglietto and Piero Maria Gibellini, traces the history of the Baglietto Shipyards back to 1854, the year of their foundation, to 1983, when the Baglietto family left the scene. Drawings, models, photographs, notebooks detailing the manufacturing, and films structured by theme, illustrate the evolution of the Baglietto design, from the first hulls produced by master carpenters in the second half of the nineteenth century – these marked the beginnings of mass-produced large-scale vessels which allowed the brand to acquire international status – up to the most recent yachts, designed using highly sophisticated digital technologies. The exhibition – consisting of a light lamellar wood-rod structure used to showcase historical photographs, nautical drawings, and exhibition tables featuring vintage models – is illuminated by iGuzzini using Deep Frame downlights with warm colour temperature (3000 K) and excellent colour rendering (CRI 90) meant to give the exhibition and the architectural space housing it an evocative effect. The exhibition will be available until 1st May at the monumental Sala delle Compere, part of the Port Authority of Genoa HQ.